ICU MSCRM: What are "Subjects" in CRM, and how do I use them? What are "Subjects" in CRM, and how do I use them? 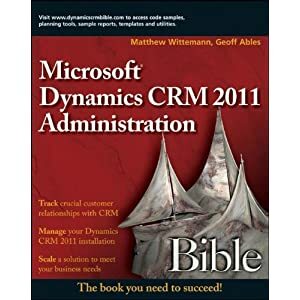 While you can set Subjects as not required, it will help to use this field if you plan on having a lot of literature and KB articles in CRM down the road. To set the Subject field as “not required” on the Sales Literature form, go to Settings > Customization and open the Sales Literature entity. Click on Attributes and double-click the “Subject” attribute (subjectid). From the Requirement Level dropdown, select “No Constraint”, save and close the attribute, and then, back on the Sales Literature entity form, choose Actions > Publish to make the change live. Good write on this obscure crm concept. 1 > Mostly for a record is more than one subject correct. E.g. : In your blog, you can assign a report to more than one keyword/category. Feasible in MSCRM with „subjects“? 2 > If you make a Advanced Find of a „product“ with the filter criteria „subject“, it would be useful, that all records will be displayed who are assigned to this „subject“ AND also to the underlying „subject“. Actually, in MSCRM you can only assign one subject to a entity. So, the system will find only the records which are exactly assigned to this „subject“ but not also the records in the underlaying „subjects“. Is it possible to customize that? 1) As with most items that are available via lookups in CRM 3.0, you can only assign one subject to articles, cases, etc. 2) You can use Advanced Find to look up a product, for example, where the Related subject's Parent Subject Equals your desired top-level subject. So do an Advanced Find on products. Scroll past the product attributes in the first line of your query, and at the bottom will be related items. Choose related Subjects, then set the Parent Subject to your parameter. Is it possible to select more than one subject tree in a single case? Out of the box, it's not possible to select more than one subject, and there's no easy way to create a relationship to them (like 1:N, cases:subjects). To accomplish this would probably require some custom code.